Break up your rail journey by passing through the pink archway and visiting the colourful Bigjig Rail wooden Flower Garden. 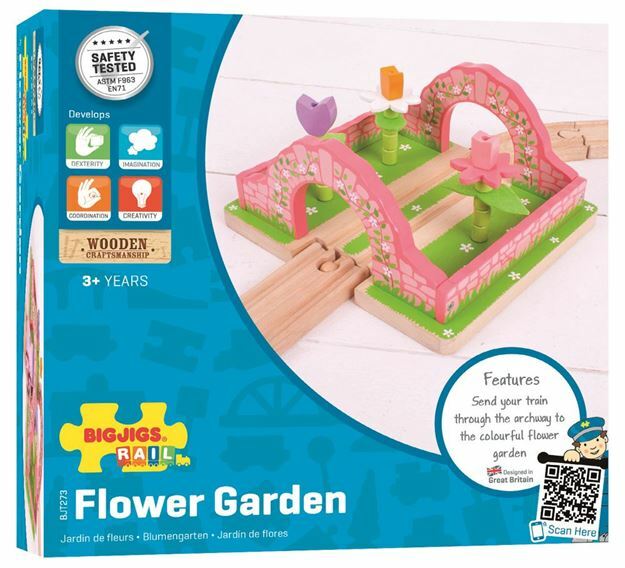 Features three big and beautiful flowers that are sure to 'wow' passengers aboard the train. Little ones can push their trains and locomotives through the archway and watch them chug out of the other side having taken in the breathtaking views. Age 3+ years. Compatible with most other wooden railway brands. Distributed in New Zealand by Holdson.